Click to enlarge. Trust me- you want to do this! Before the newsy stuff I had to give you that eye-gasm of a photo of our nearest star a.k.a. the Sun, blowing off millions of tons of hot gas into space a couple weeks ago. This image combines two spectrums of light that we can’t see with our eyes, both of which are in the ultraviolet range and show the magnetic activity better. 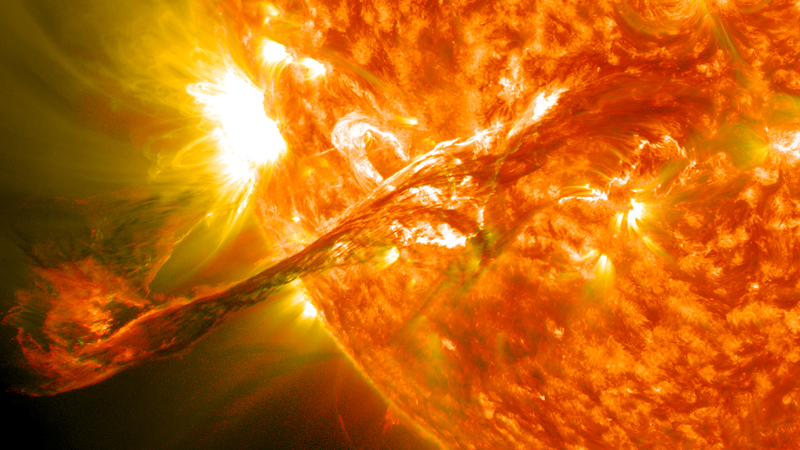 Both were taken with NASA’s Solar Dynamic Observatory (SDO). We should be glad this enormous eruption wasn’t aimed directly at Earth, else we could have had serious satellite and power disruptions.